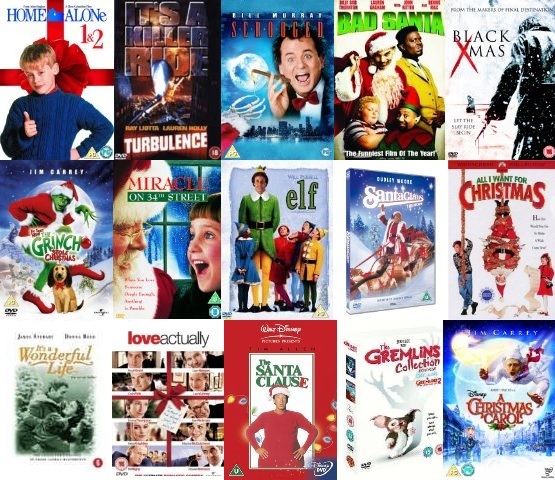 It’s almost December 25th and it’s the perfect time to sit back, relax and watch some feel good films about Christmas time. Synopsis: George Bailey, (James Stewart), has spent his entire life giving to the people of his town, Bedford Falls. He has always longed to travel the world, but never had the opportunity because he always put the needs and wants of others first. George marries the lovely Mary, (Donna Reed), but they are in constant financial turmoil and George spends his life trying to prevent the local scrooge Mr. Potter, (Lionel Barrymore), from taking over the entire town. But on Christmas Eve, George’s Uncle Billy, (Thomas Mitchell), loses all the money in George’s business while intending to deposit it in the bank and Potter finds the money and hides it. When the bank examiner discovers the shortage later that night, George realises that he will be held responsible for the lost money which belongs to the trusting residents of the town. In fear of being sent to jail and the pending collapse of his company, George begins to panic. Thinking of his wife, young children and friends will be better off without him, George contemplates suicide. But the prayers of his loved ones result in an angel named Clarence, (Henry Travers), comes to see George and convinces him just how important he is and how different Bedford Falls and the lives of those he loves would be without him and his good heart. Then when George rushes home, he finds that not all is lost, and the people of the town have rallied together to save George and give him and his family the gift of friendship at Christmas. Synopsis: Having left the Army following the Second World War, Bob Wallace, (Bing Crosby), and Phil Davis, (Danny Kaye), get together to become a popular song-and-dance act. But the pair soon meet two beautiful sisters called Betty and Judy, (Rosemary Clooney and Vera Ellen), who are also in the entertainment business. When Betty and Judy travel to a Vermont lodge to perform a Christmas show, Wallace and Davis follow, but a series of romantic mix-ups take place and the group spend a very merry Christmas together. Synopsis: Frank Cross, (Bill Murray), runs an American TV station in which he has a lot of responsibility and a big Christmas show to oversee. But Frank’s childhood wasn’t happy and he has never really understood the true meaning of Christmas and doesn’t know how to share the joy of the season with his family and friends. Yet, with the help of the ghosts of Christmas past, present and future, Frank realises he must change, but will he manage and what will everyone else think of his strange new behaviour? 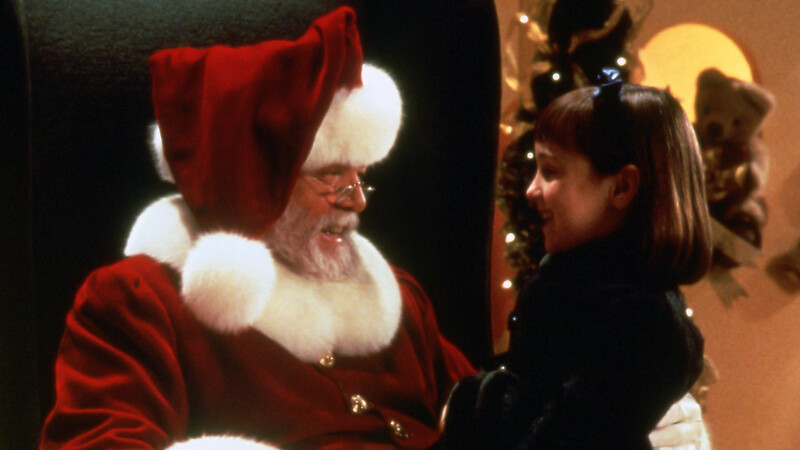 Synopsis: Susan Walker, (Mara Wilson), has doubts about childhood’s most enduring miracle – Santa Claus and worries that she won’t get the gifts on her list that are the closest to her heart. But after meeting a special department store Santa, (Richard Attenborough), Susan begins to believe again and hopes that Santa will bring her a new Dad and a baby brother for Christmas. Synopsis: This film is credited as pioneering the start of modern multi-strand narratives in film. Love Actually follows the life of various characters living in London who are all somehow related to or connected to each through birth, marriage, friendship or work. But this diverse group of people are desperately searching for love and contentment in the run up to Christmas and seem to be looking in all the wrong places to find it. This highly clever, funny and touching film boasts many British stars including, Bill Nighy, Emma Thompson, Rowan Atkinson, Colin Firth, Hugh Grant, Keira Knightley, Martin Freeman and Martine McCutcheon. Synopsis: In London, Iris Simpkins, (Kate Winslet), writes a wedding column and lives with her unrequited love for her charming and manipulative devious colleague, Jasper Bloom, (Rufus Sewell). But as Christmas draws near, Iris learns that Jasper is engaged to get married, and her life is turned upside down. Meanwhile, in Los Angeles, a movie-trailers maker Amanda Woods, (Cameron Diaz), has just left her unfaithful boyfriend Ethan, (Edward Burns), and wants to get far, far away to forget him. As the pair desperately search for a solution, they both connect on a house exchange website, and Amanda impulsively swaps her mansion for Iris’s rustic cottage in Surrey for the holidays. While in Surrey, Amanda meets Iris’s brother Graham, (Jude Law), and what begins as a physical attraction soon turns into something more. At the same time, over the pond, Iris meets her new next door neighbour, the wonderfully classical screenplay writer Arthur, (Eli Wallach), who helps her gain gumption, and the film composer Miles, (Jack Black), with whom she falls in love. But as Christmas and New Year draws near, Amanda and Iris have to choose between going home and keeping the men they love. Synopsis: Brad, (Vince Vaughn), and Kate, (Reese Witherspoon), have been together three years and are in love, having fun, doing all sorts of things together and with no intention of ever getting married or having children. Every year the pair lie to their divorced sets of parents and say they’re going abroad to do charity work, all to get out of spending December 25th with their nearest but not so dearest. But one Christmas morning, Brad and Kate are heading off to Fiji for yet another winter holiday when all the flights are cancelled due to fog and after being interviewed by a news network and appearing on TV, their parents call them up and invite them over for Christmas. But with four different parents around, the pair need to fit four Christmases into one day. As the day progresses, Brad and Kate are reminded of their traumatic childhoods and they learn about each other’s secrets and realise that they may not be as happy as they thought. As the day comes to a close, Brad and Kate have to ask themselves where their relationship is heading and whether in fact they can learn something from their relatives.